I love Indian food. It's so flavorful and spicy, and I don't know of another type of cuisine that makes vegetables taste so good! Yesterday, my husband and I took in a matinee in Burbank, and then we headed to one of our favorite nearby lunch spots, Flavor of India. They have a lunch buffet every day of the week. It costs slightly more on the weekends, but that price also includes a beverage whereas during the week, a beverage is not included. 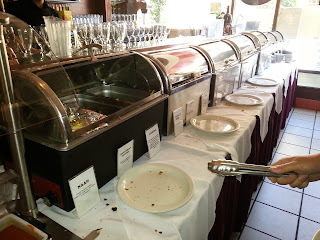 The weekend buffet is advertised as a "champagne brunch buffet," but if you don't want champagne you can get coffee, soda, etc instead. We've eaten at multiple Indian restaurants and multiple Indian buffets. We really prefer a buffet at an Indian restaurant because the variety is always delicious, and we really would have trouble deciding on just one thing to order. 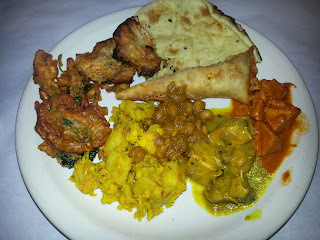 The buffet at Flavor of India is certainly our favorite. They have a mini-buffet of chutneys and sauces. They have naan, samosas, multiple preparations of veggies and meats, rice, salad, fruit, etc. I usually start with a little bit of just about everything and then go back for seconds of my favorites. On this trip, I paid attention to the items I was craving the second time around. Alioo gobi was my favorite veggie dish. This is the only dish I know of that makes cauliflower delicious. I could eat this all day. 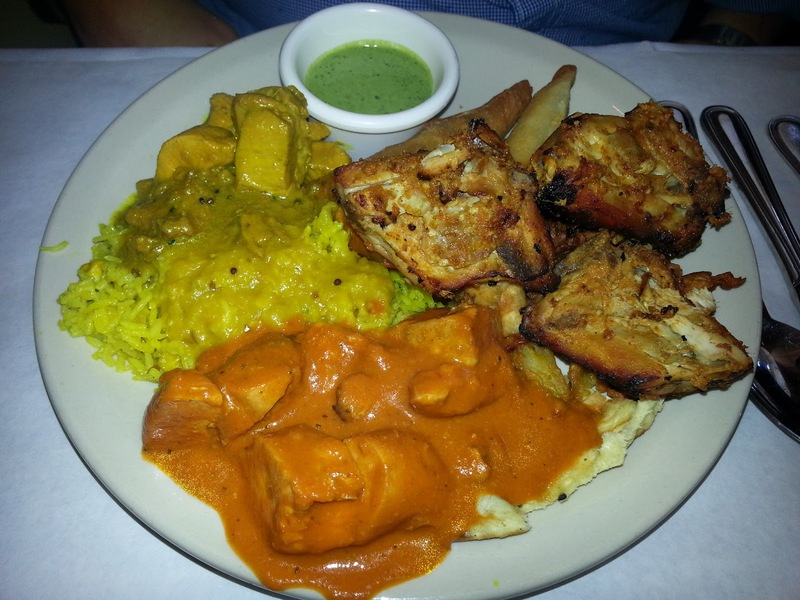 The chicken tikka masala was my favorite meat dish. It has a nice level of heat and is particularly juicy. The sauce also tastes great with the naan. The samosas are also delicious. I'd be happy just eating the insides out of them. It's just a mixture of peas and mashed potatoes with yummy spices. Like I said, Indian food really makes eating you veggies a treat! If you don't like spicy food, beware. I had a nice level of heat going on in my mouth. The food was spicy but not too spicy. Personally, I love spicy food. If you can handle the spicy chicken sandwich at your favorite fast food chain, then you can handle the level of heat you'll experience in the food here. I tried making Indian food a couple times years ago. I made samosas and tandori chicken. It tasted good, but it took hours to prepare. I found the samosas particularly time consuming. My husband used to make a chicken curry dish a lot, but it didn't taste as good as what you get at an Indian restaurant. We decided that this is one of those cuisines that we'll leave to the experts. 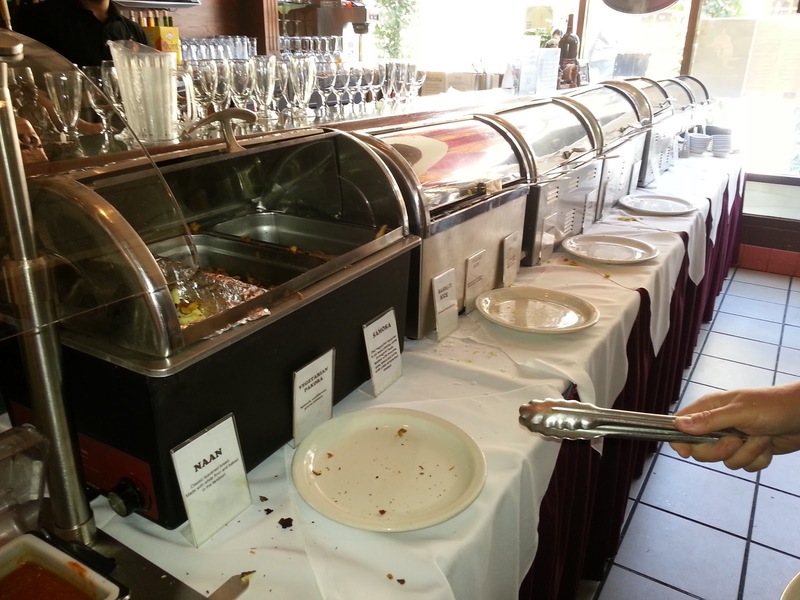 Besides, when you have easy access to a delicious lunch buffet, why slave in the kitchen?